SPOKEN NERD. Strike Theater co-founder and ComCon co-organizer Allison Broeren grew up in Eau Claire. ComCon is a winter retreat/workshopping weekend for comedy writers and performers coming up in February on Lake Holcombe. 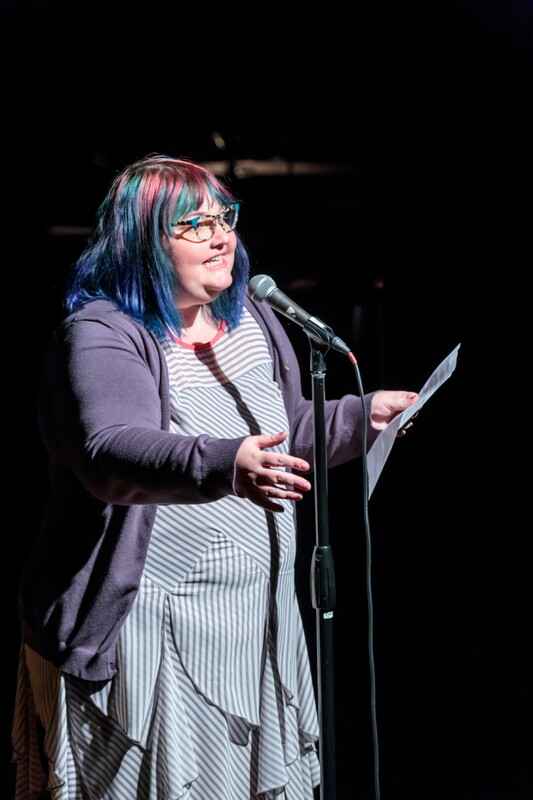 Allison is an Eau Claire native who’s earned plenty of awards and accolades over the past decade as she’s helped to build and evolve the Twin Cities storytelling and poetry slam scenes, co-founding a number of live performance-based collectives and shows. Her latest endeavor – co-founding Strike Theater in Minneapolis – is dedicated to storytelling, sketch comedy, and spoken word. Gushed about above, Strike Theater is the engine behind ComCon, an amazing workshop/retreat opportunity for writers and performers coming up Feb. 3–5 at the Paradise Shores 4 lakeside hotel in Holcombe, just 40 minutes from Eau Claire. 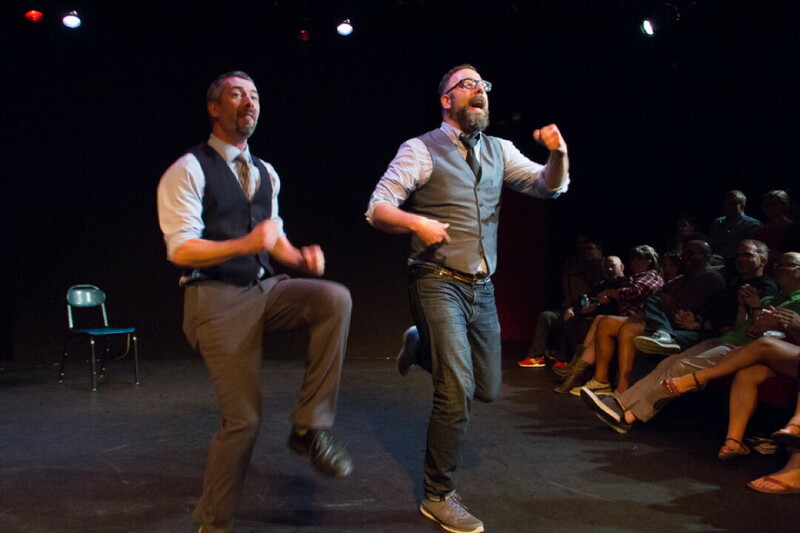 Billed as a “weekend adventure created to bring together stand-ups, storytellers, improvisers, sketch writers, and anybody interested in the art of comedy,” ComCon is focused on people learning from each other, making new friends, strengthening performance communities, and just having fun. Participants can expect “genre sampler” workshops with experts, master class options, panel conversations, performance and writing sessions, mentoring opportunities, games, something called “Hot Tubs and Hot Dogs,” and more. Presenters include a writer/performer from Mystery Science Theater 3000, a writer for Disney Channel Cartoons, Moth Grand Slam winners, veteran stand-ups, and a writer from A Prairie Home Companion. And on Saturday night at 7pm, there’s even a showcase performance open to the public looking to be well worth a quick drive from Eau Claire. The cost of the conference is $120 (not including lodging), which gives you access to all panels, workshops, shows, coaching, writing, and extra activities. Early bird pricing ends Jan. 11, after that it’s $135. Participants must be at least 21 years old. More details at strikecomcon.com.